We have a clean modern facility with immaculately manicured grounds & wifi with activities every weekend. Concerts in May, Christmas in July & six weekends of Halloween fun with our own Haunted Barn! Wonderful park with lots of onsite activities. Very clean and well maintained. We had a full hookup pull thru site, it was a little to cramped with the neighbor sites for my liking. If we were staying more than one night I would recommend one of the premium sites, they have more space and concrete pads. 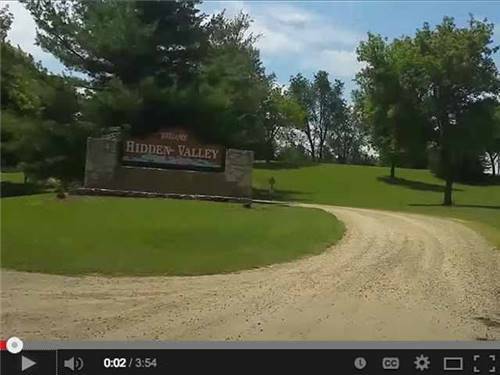 Hidden Valley, Milton WI. Great faculty. Very clean and well appointed. Sites were nice and level with shade. The pool and store were also nice. Snacks and food were priced well and could be delivered for free to your site. Showers were clean and had good water pressure. It was a little more, but the campground was quality. Extremely pricey park with no cable and poor wifi. Our premium site was great. Roads dusty. Not enough staff in office leads to long lines. Well landscaped. Staff is not friendly and seems overworked. When we went to their snack bar it took several minutes just to order food then pay. They would take your order then help other people and make you wait to pay for it. Also had a situation with a site in our group and the staff and owner thought it in their best interest to insult us and tell us we were intoxicated. Nobody had been drinking that day. I am sorry I wasted my money going there. Horrible experience. Our 'reserved' campsite was occupied, and they didn't even know it. They moved us to a 'new' campsite. New alright, barely scratched out of a hillside. If my truck wasn't a 1 ton 4wd, we'd never have gotten the 5th wheel into this site. Two wheels were slipping most of the time backing it up the hill. The back of the trailer hit the ground, the front was way up in the air. Even though it wasn't level, I left the camper connected to the truck, I was afraid it would roll down the hill otherwise. I have about 50 of the eggcrate leveling blocks, used all of them for leveling and chocks and it still wasn't level side to side or front to back. 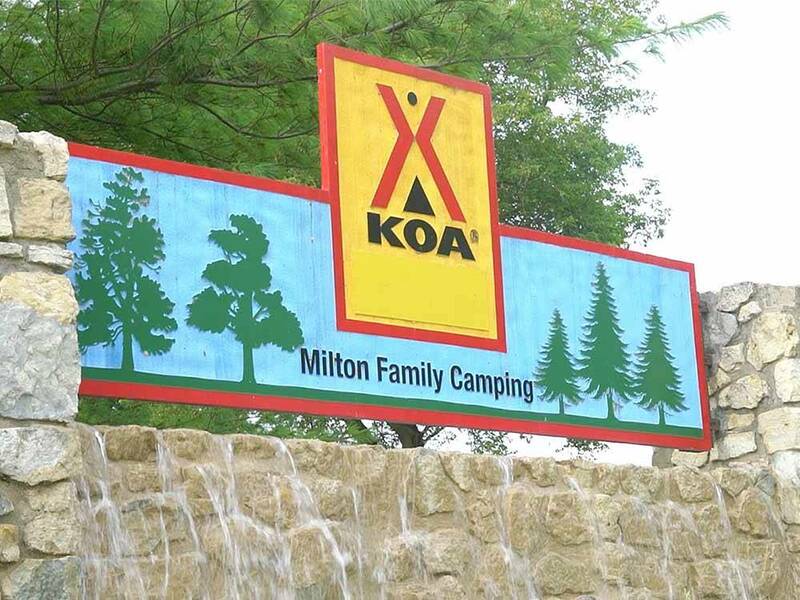 If this is representative of KOA quality and service, I'll not go to another one. This is the best overall campground that we have stayed in. We wish we could have extended our stay. Everything is just right; it is well maintained, the RV sites are long and level, the bathroom/showers are spotless and there are 2 different bathroom/shower/laundry buildings making access easy. There are many permanent/long term residents; however, their sites are clean and well maintained. The area is also attractive, being close to a lake and driving distance to Madison. Since "10" is the highest rating they are a perfect 10. One of the nicest and cleanest RV parks I have ever stayed in. Staff was very nice. Camp store was very nice. Sites were not very wide, but they were very long and could fit just about any size rig. The park was immaculate and there was someone always working at the park. Garbage was never left for more than a few minutes before park staff picked it up. Power, Water, and everything was perfect. Very level sites. I can't wait until next year to visit again. AMAZING!!! We arrived about 5:30 on a Wednesday evening. The grounds were beautiful and well maintained. The staff at check-in were knowledgeable and very friendly. Our site was spacious and easy to back in to. After a quick set-up, we took a walk through the woods on a nicely maintained nature trail. We saw deer, wild turkey, and many different species of birds. The bathroom facilities near our site (228) were spotless and appeared fairly new. By reports, this is a very family friendly RV resort with many activities. I would have to say that it was the nicest RV park/resort we have stayed at in 3 years of RV travel. Our first time at Hidden Valley and we were pleasantly impressed. We have a 35ft travel trailer and we were concerned about site size. We were in a VIP back-in. It was plenty deep, and more level than some pull thru's we've stayed at. Yes, the campground is a little dusty, but roads are gravel and that is to be expected. Note that my perspective is from that we are family with a 3.5 year old: My daughter had a blast. She loved both playgrounds, she enjoyed the pool (which was a little small, but was clean and reasonably warm). The only amenity that I would say is missing is a jumping pillow. I'd even pay $2/day to have that (knowing how much my daughter likes jumping pillows). It is a large campground, weekend sites on one half, seasonal on the other. Having a bicycle is a must (those hills are brutal tho :)). A note about other internet reviews regarding the wifi: it's no longer one hour at a time. You do have to re-login every day, though. We will be returning next year.